I told y’all that the nautical baby shower went great! 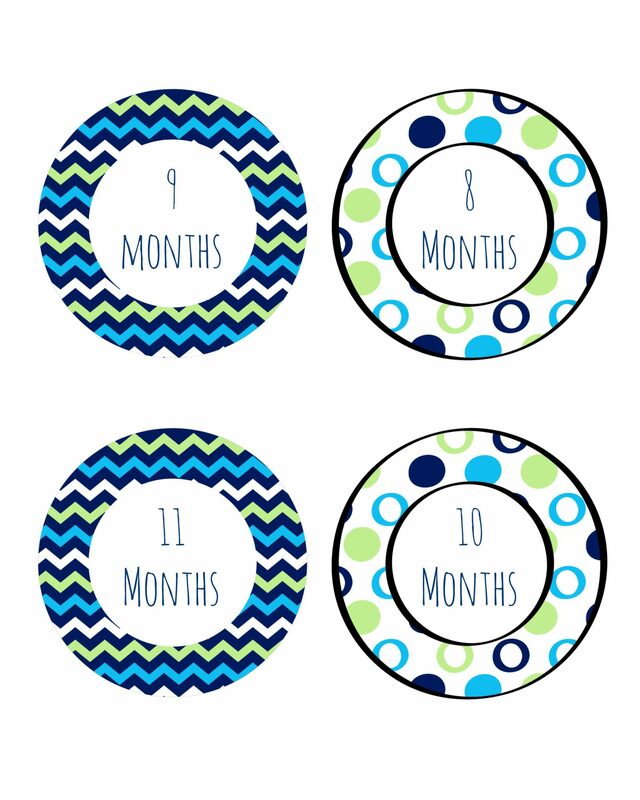 Part of my gift included this onesie sticker gift idea. 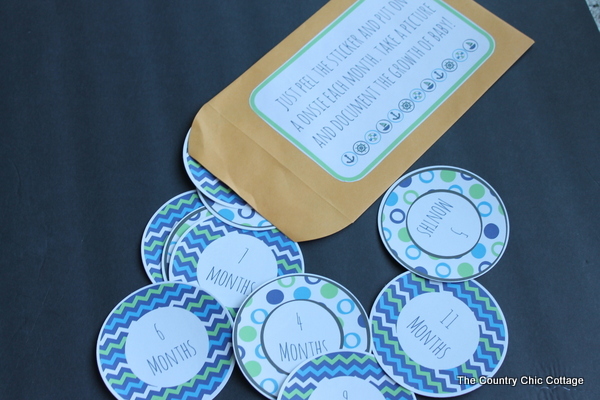 This is a fun way to document baby’s growth and give a gift that lasts all through the first year. 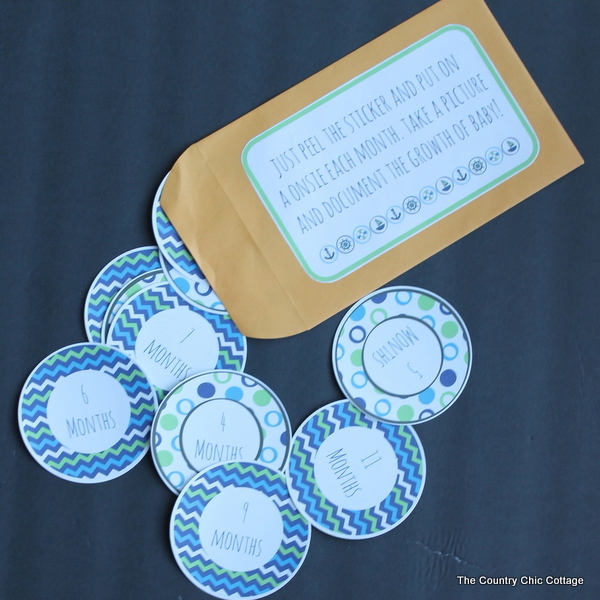 You can get supplies for this one from Online Labels and print the free printables below to make your own. This post is sponsored by Online Labels however all projects and opinions are my own. 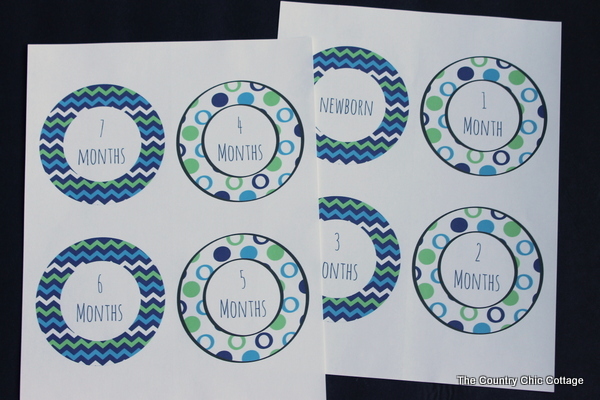 Cut each of the circle stickers out either with scissors or a circle cutter. Cut out the envelope sticker with scissors. It fits perfectly onto a 5 x 7 manilla envelope. Place the onesie stickers inside and this gift is ready to give. 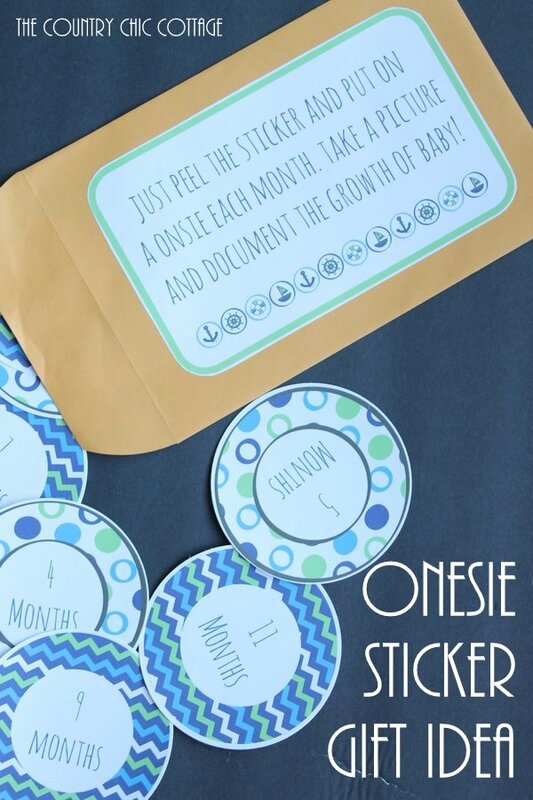 Each month mom or dad just needs to peel and stick the sticker to a plain onesie. Then just snap a picture. At the end of the year, they are left with some great pictures that document the growth of baby. 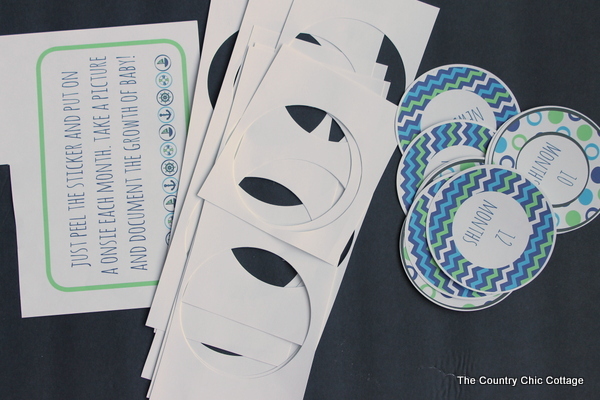 Please note that these stickers are meant to be used with adult supervision and thrown away once the picture is taken. Do not leave a baby unattended with any of these! 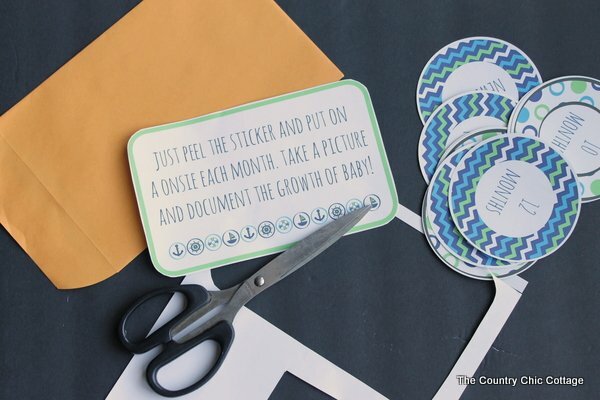 Otherwise have a great time with your onesie sticker gift idea.